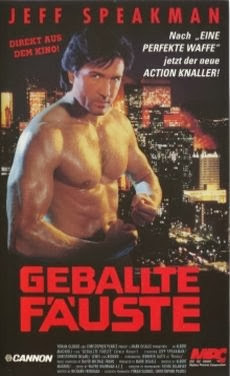 Renowned Kenpo (not to be confused with Kickboxer (1989) bad guy "Tong Po") expert Jeff Speakman stars in this cliche-ridden urban actioner. In L.A., The gangs The Latin Lords (Mexicans) and The Blades (Blacks) run the streets. 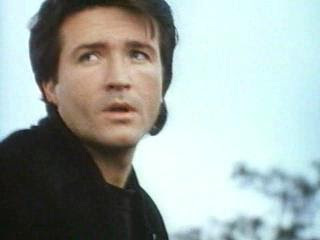 Enter crazed ex-cop baddie Franklin (Neame) who is trying to incite a war between the two gangs. Unfortunately for them, Jake (Speakman) lives in their 'hood. Jake was once a top cop on the beat until a hostage situation went sour. Now all he wants to do is fix cars in his garage, eat food from the local deli and mope around. However, his scars from the past will never heal (e.g. he has sad, painful memories of that fateful day). He tries to make peace with the local toughs because he falls in love with a local nurse named Rebecca (Gatti) and agrees to help her and her cousin Carlos who looks like a very young Adam Carolla. Speakman enlists his old friend Raymond (Casey) who is a forensic pathologist, to do some work "off the books". Will Speakman single-handedly broker a peace between rival factions or die trying? Will he defeat Franklin? Will Speakman's mullet do all the work?....spoiler alert....yes. Every stereotype you can think of about gang warfare and the streets is in this movie. The Mexican gangs actually say "Andale!" The only likable character dies, leaving the audience with too much Speakman and Franklin, who is a dead ringer for Kelsey Grammer. Rebecca looks like figure skater Nancy Kerrigan but doesn't share her acting prowess. Carlos spends most of his time looking through a telescope at the stars and hiding out in an abandoned shack in the woods to avoid gang life. Speakman shows up at this shack and promises "No more running". In the next scene, they are both running for their lives from Franklin and his minions driving a black van. Inexplicably, they both find a horse and then a van-horse chase ensues. A van has more horsepower than a horse, which has one power. They manage to elude capture. After the chase, Jake is really teed off and utters "Now it's my turn". Whose turn was it before? Now, fired up with turnhavingness, Speakman finally does some cool stuff like slide under a closing garage door and hit a baddie with a wrench in the face. After some gunning and pummeling, he is too tired to think of a catchphrase, so he regurgitates the contemporary classic "Hasta la vista, Baby!" and everyone in the world groans in unison. 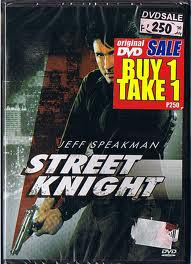 The movie would've been better if his name was Jake Street or Jake Knight...but it's not. Why the Latin Lords and the Blades would listen to some honky is not explained. 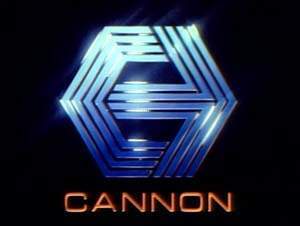 The director Albert Magnoli also made the classics Purple Rain (1984) and American Anthem (1986) starring Mitch Gaylord. This review "Is dedicated to the United Kenpo Family and for Gang truce everywhere!" cue the song from Todd Smallwood!